The Buganda kingdom of Uganda dates 200 years back with very rich history and establishment. 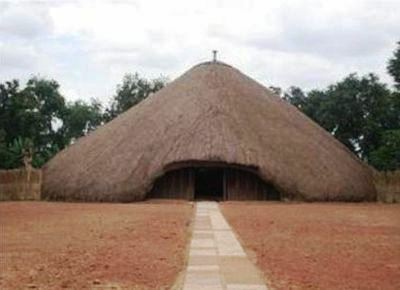 One of the outstanding treasures of Buganda are the tombs which was declared a World Heritage Site by UNESCO. Having experienced the tragedy of the burning down the only Heritage Site of its kind in Uganda, the kingdom is looking for motivated volunteers to help rebuild the former glory of the kingdom by conserving, protecting and promoting the heritage site in all aspects. The volunteers will be partnering with the kingdom to rebuild, restore, and document some of the activities of a two decade legacy. Volunteer tasks include: restoration, promotion and protection of cultural values and sites; Intercultural exchange; social work; educational support; Guiding and counseling; tree planting. Study theme: Protection, preservation and promotion of historic heritage, sustainable tourism and improved livelihood for local communities. Location: Most of the sites are located in the central region districts of Uganda which is surrounding the capital city of Kampala. Extra fee: 300 Euro for 1 month; 450 Euro for 1-3 months; 750 Euro for 3-6 months; 900 Euro for 6-9 months; 1200 Euro for 9-12 months. The extra fee is intended to support the local host of the project who does not have sufficient funds. It is due upon arrival. See more info and apply.